Donald Trump’s nominee to run the Department of Education seems to know very little about education policy. On special education, she seems hesitant even to enforce laws that have been on the books for decades. Senator Maggie Hassan (D-New Hampshire): I want to go back to the Individuals With Disabilities Education Act. That’s federal civil rights law. So do you stand by your statement a few minutes ago that it should be up to the states whether to follow it? Betsy DeVos: Federal law must be followed where federal dollars are in play. Hassan: So were you unaware when I just asked you about the IDEA that it was a federal law? DeVos: I may have confused it. 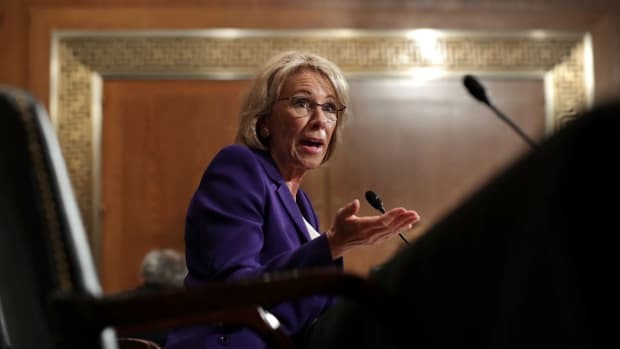 During Tuesday’s confirmation hearings for Betsy DeVos, President-elect Donald Trump’s nominee for the Department of Education, there were a lot of surreal moments: At one point, DeVos suggested that she couldn’t support a blanket ban on guns in school because guns are important in staving off grizzly bear attacks. 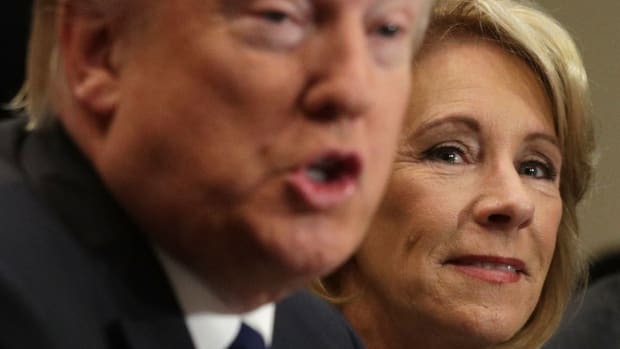 Still, for people engaged in the world of disability rights, or for anyone who knows anything about the function of the Department of Education, it was disheartening at best to observe DeVos’ total ignorance about even the most superficial details of how special education works. It’s not that anyone expected her to be a passionate advocate for federal oversight, but we might have expected her at least to have read the Wikipedia page on the Individuals With Disabilities Education Act (IDEA). Federal education policy is complicated. The Department of Education controls relatively small amounts of dollars, compared to what the states control, but does wield enormous influence when it comes to quality control and enforcing lots of regulations. Republican ideology generally advocates rolling back those functions, a turn from their endorsement of No Child Left Behind under George W. Bush, and this is one of DeVos’ mantras — let the states decide. 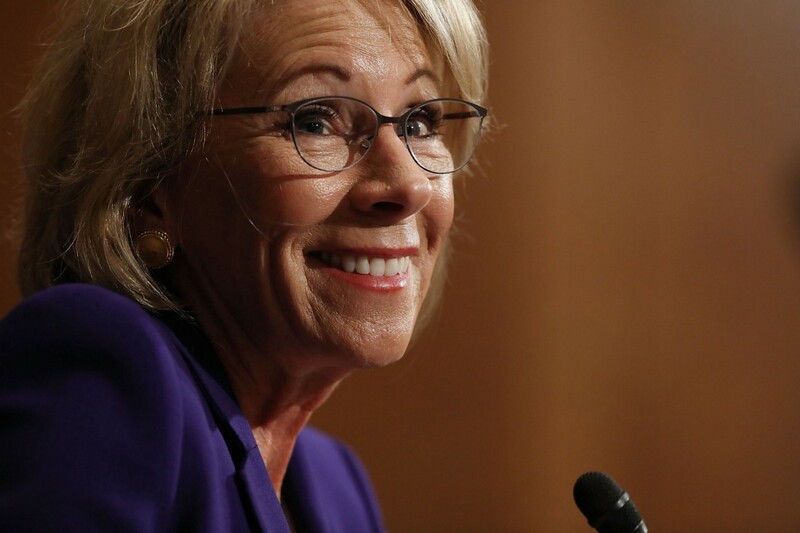 Her other mantra is that students need more choice, hence her support for vouchers. Critics—reasonably—are concerned that she’s looking to privatize public schools and use tax dollars to promote religious education. These are big debates to come. But special education is usually a place where, superficially at least, Republicans and Democrats espouse the same platitudes, and the role of the federal government is pretty clear. The various laws and programs mandating access to a Free Appropriate Public Education in the Least Restrictive Environment for children with disabilities are mandated and partially funded (more on that in a minute) by the federal government. The Department of Education, sometimes in cooperation with the Department of Justice, regulates and provides oversight. Section 504 of the 1973 Rehabilitation Act guaranteed the right of disabled children to education. The Education for All Handicapped Children (EHA) Act of 1975 mandated the evaluation of all children and the subsequent creation of an education plan (Section 504 relied on individuals litigating for the right to be educated). In 1990, Congress reauthorized the EHA and dubbed it, brilliantly, IDEA — the Individuals With Disabilities Education Act. The Department of Education oversees its implementation. 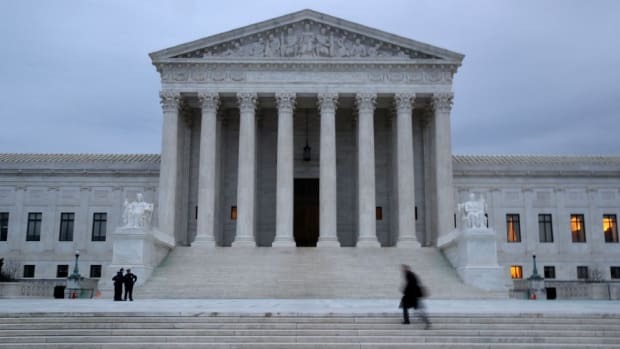 There are lots of debates about quality and enforcement, with two Supreme Court decisions pending that may change both the basic quality standards for education and the process of disputing school decisions. 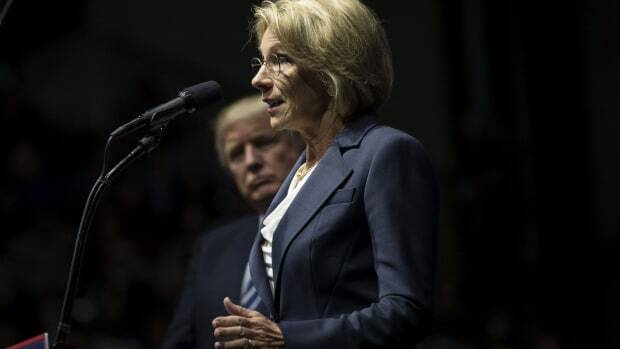 I expect DeVos and her administration to engage with these issues and am particularly suspicious of the use of vouchers to pay private schools to provide special education, a practice with a poor track record. In her first round of questioning, Senator Maggie Hassan of New Hampshire—who has framed her entry into politics around her experiences trying to get a good education for her son with cerebral palsy—went straight at the voucher issue. IDEA was never fully funded. Paying for special education costs roughly twice as much per student as teaching typical students, and IDEA was supposed to provide 40 percent of those necessary extra funds—leaving the states on the hook for the other 60 percent. Instead, as of the 2014 numbers, IDEA pays 16 percent of the cost per year. This lack of funding leads to all kinds of crises, such as the systematic denial of access to special education for Texas children who ought to qualify, as recently exposed by a stellar piece of investigative journalism from the Houston Chronicle. It’s the kind of issue on which there used to be fairly easy bipartisan agreement — kids with disabilities should get the education that the law mandates for them. Take John Kasich, for example, who was happy during the campaign to talk about dismantling federal oversight in education — except when it came to issues like special education.